Food preservation has been a widely discussed topic for years. For countless centuries, people all over the world have sought ways to keep their food fresher, longer. One of the main ways people have preserved meats and other food items is with salt. While now simply viewed as a necessary dining room table staple, this mineral been an essential part of wider culinary culture since 6050 B.C., according to Salt Works. The world "salary" is even said to come from the word "salt." While sugar is also used in some forms of curing and storage, salt brines, along with other methods, are incredibly common. Everything from meats to preservatives to pickled vegetables depends on salt. Though salt is an essential facet in everyday food preservation and curing efforts, federal regulators, along with nutrition and health activists are pushing for less sodium content in restaurants today. 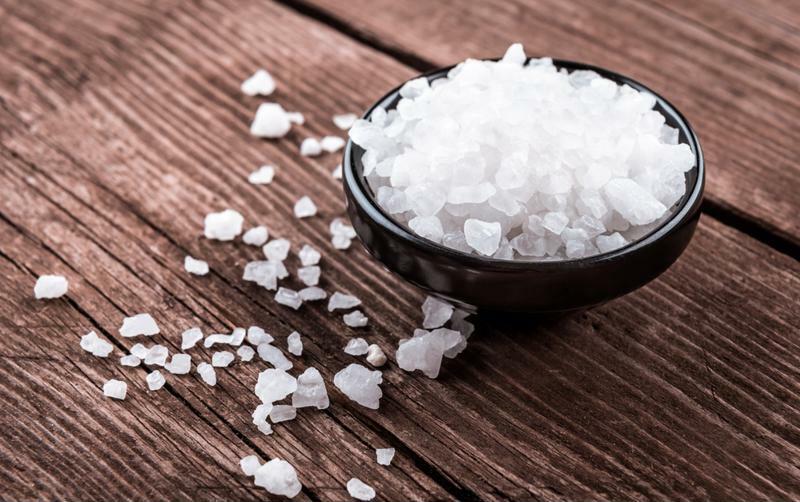 Salt is a cost-low food preservation tool, but the FDA recently released new guidelines urging the food industry to lower its sodium levels. Salt acts as a flavoring agent, promotes food safety and can drastically extend the shelf life of certain food products. It can also enhance texture, taste and act as a binding agent. As salt is relatively expensive in comparison to other food preservation methods, many manufacturers and restaurants turn to salt. FoodDive wrote that most Americans have become accustomed to higher sodium content in their foods. Despite this gradual shift in the everyday consumers' taste buds, the FDA recently issued a new guideline for food manufacturers and restaurants to reduce their sodium levels industry-wide. "One in three people has high blood pressure." According to FDA figures, 75 percent of dietary sodium consumption comes from eating restaurant and packaged foods – not from your own salt shaker. Furthermore, FDA research shows that the majority of Americans eat more than 50 percent more sodium that what nutrition experts generally recommend. As a result, one in three people has high blood pressure, along with other heart-related health problems. On June 1, the FDA released its draft guidance for practical and voluntary sodium reduction targets for the entire food industry. Current sodium intake levels in the country are around 3,400 milligrams per day. The agency's short-term (two-year) and long-term (10-year) targets aim to allow American consumers to steadily reduce their sodium consumption levels to 2,300 mg/day. "Many Americans want to reduce sodium in their diets, but that's hard to do when much of it is in everyday products we buy in stores and restaurants," HHS Secretary Sylvia Burwell explained. "Today's announcement is about putting power back in the hands of consumers, so that they can better control how much salt is in the food they eat and improve their health." Limit the consumption of "instant" or "ready made" products, mixes and sauces. Buy fresh or frozen meat, vegetables and food items. Choose low-sodium, or no-salt packaged foods. Reduce portion sizes at restaurants. Make low-sodium choices while eating out. Budgets can be tight in the food industry. With increasing competition, nutrition concerns, new FDA guidelines and more, it can be difficult for those in food sector to cut costs, preserve their food and still satisfy both their consumers and industry regulators. The problem is that some companies and restaurants still use too much sodium or other taste-altering methods to foods to keep them fresher for longer. "Restaurants must keep track of food shelf life dates." "Traditional treatments have a devastating effect on the structure, taste, appearance and nutritional value of the food," John Michaelides, a food technology consultant at the Guelph Food Technology Centre in Guelph, Ontario, Canada, told Food Processing-Technology. "The new demands of consumers for fresher, natural and health delivering food products forces the industry to look at non-thermal processes, gentle processing and natural antioxidants and antimicrobials." One serious problem facing restaurants in particular is the struggle to keep track of their ingredients' shelf lives. While food preservation efforts do extend the lives of certain goods, they will not do so indefinitely, without risking dish quality and taste. As a result, restaurants must keep track of various food use-by or shelf life dates. Cold items in particular are burdensome to keep track of in industrial walk-in freezers. This is why many restaurants use charts to keep their freezers organized and cut down on wasted food costs. However, these methods can be inconsistent or difficult to keep up with in a fast-paced, high-pressure environment. For restaurants looking to improve their freezer food preservation efforts and keep track of their ingredients, consider Stranco's freezer date inventory labels. Not only are they inexpensive and time-saving tools, but they are pre-printed for easy identification and use. Not only are these labels easy to apply and locate, they are also durable, as the restaurant industry frequently faces wet conditions and unstable temperatures. These labels will remain legible down to -65 degrees and bonded up to 170 degrees once applied. They are also moisture resistant. To learn more about our freezer date inventory labels or thermal transfer labels, contact a representative from Stranco today!